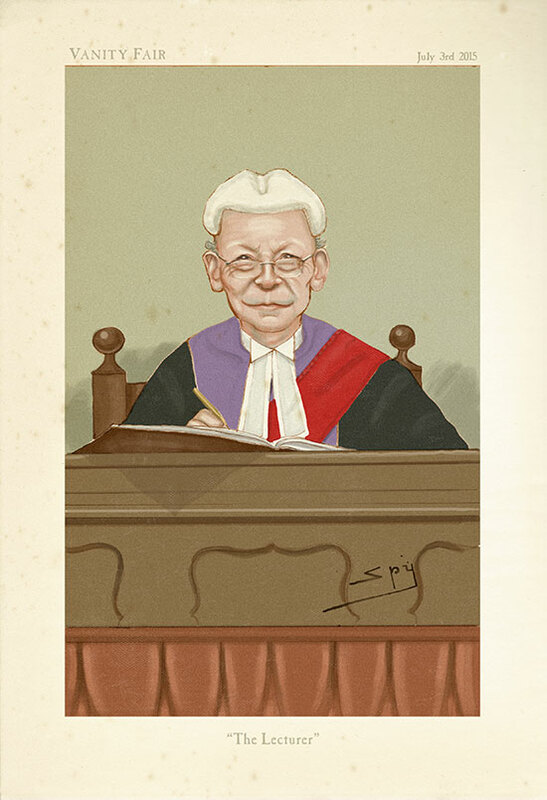 A portrait of a Judge in the style of a Leslie Ward (aka ‘Spy’) cartoon from the Victorian magazine ‘Vanity Fair’. This was presented to the judge at his retirement party. This judge was particularly good at giving defendants a good dressing down when sentencing. He wouldn’t pull his punches and gave them a stern lecture about the impact of their crime on their victims, and what sort of future they would have should they continue down the paths they had chosen. A legend.